What? It’s not Christmas yet? But I’m drinking my morning coffee with egg nog instead of milk, and I may have just eaten a sugar cookie (breakfast of champions! ), and my house is festive as all get out! It certainly feels like Christmas around here. We decorated last weekend. Our front yard is full of twinkling lights (though some of our strands of lights are starting to get a little sad- I think we’re going to need to buy new ones for next year). We’ve hung the stockings by the chimney with care, and we put up out (not quite straight) Christmas tree. And used my Christmas Balls! 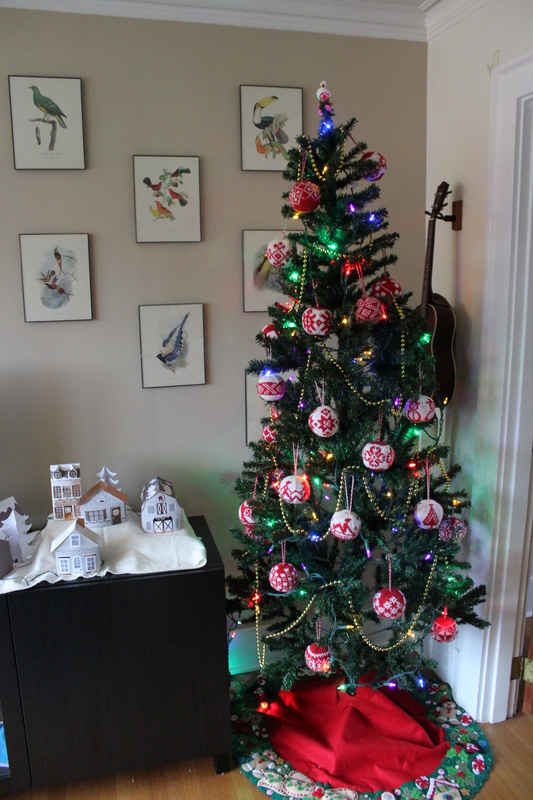 I managed to finish 24 balls (I still have a handful that haven’t been filled yet), which turned out to be just enough to decorate the front of the tree! I love how bold and cheerful they turned out. They look great, and (bonus!) 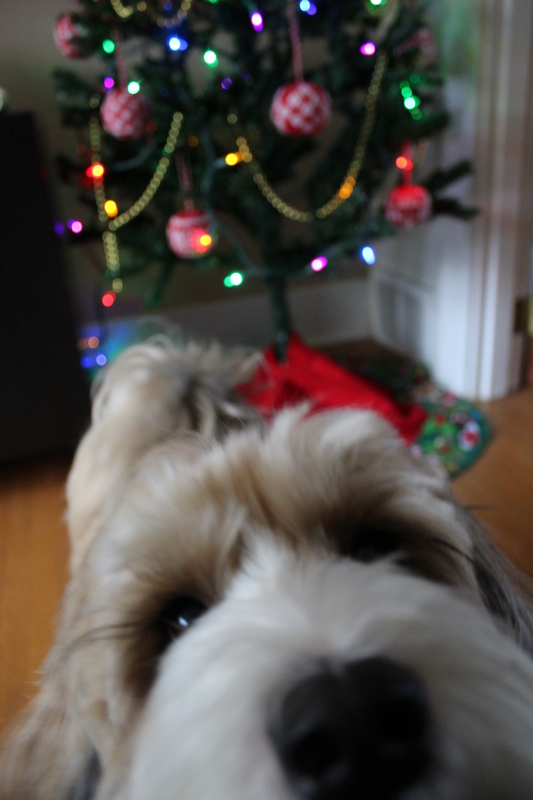 I don’t have to worry about the dog pulling down the tree and breaking everything. I couldn’t be happier with how they’ve turned out. Now I just have to make the other 30-ish balls, to finish out the book. Maybe by next year, I’ll have them all finished? 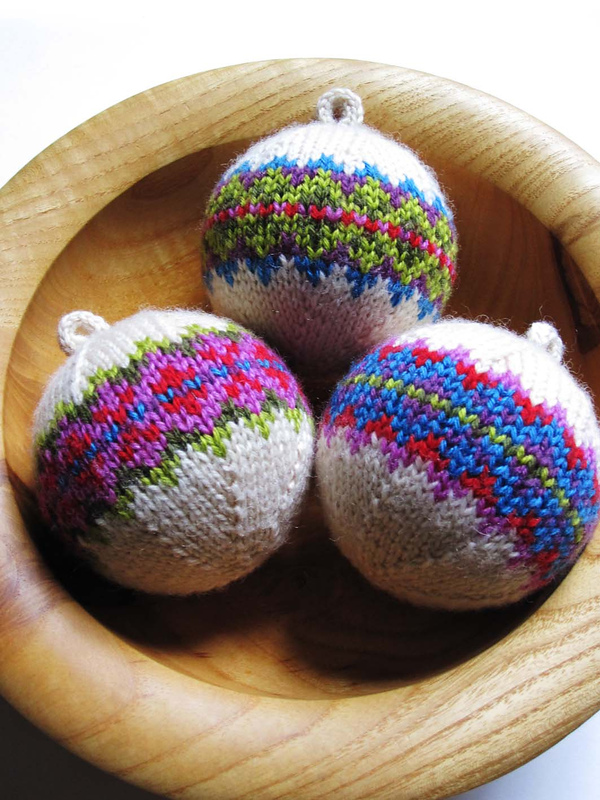 This entry was posted in On My Needles and tagged arne and carlos, christmas, christmas balls, christmas ornament, christmas ornaments, knitting on December 4, 2017 by onemilljellybeans. When my brother and I were little, we each had tiny Christmas trees that we used as advent calendars. My mother (or maybe my grandmother… sorry Mom, I can’t remember which) had made us both these long wall-hangings with 24 little pockets for the days leading up to Christmas. On the day after Thanksgiving, my parents would pull out the trees, wall hangings and an old cookie tin full of miniature ornaments. My brother and I would spend the afternoon taking turns picking out ornaments and carefully putting each one in each pocket. 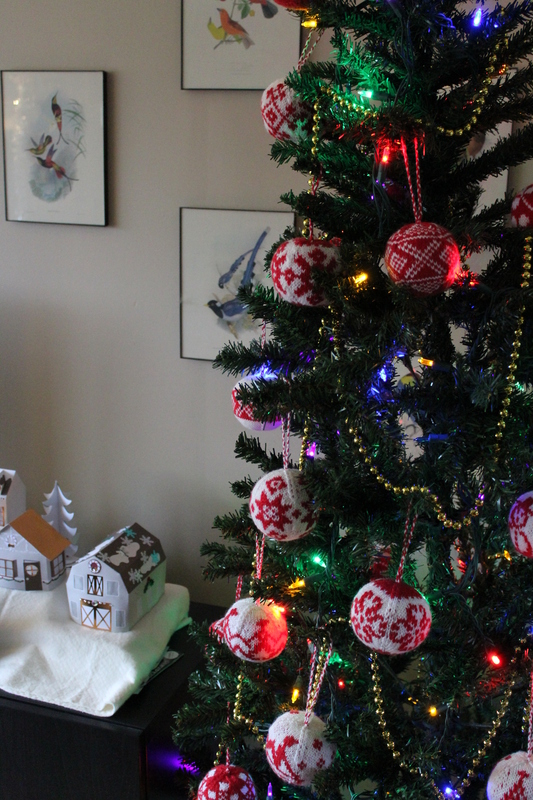 Every morning in December, we would add a single ornament to our trees. The first week, the trees always looked a little sad and bare, but by the 10th or so, they started looking quite festive. And by the week of Christmas, it was hard to find a free branch to add the day’s ornament to. I’m not sure what happened to my little tree and wall-hanging, but I still have some of those miniature ornaments (a bunch of them are hanging on my tree right now! ), but I still remember that particular holiday tradition fondly (especially the excitement my brother and I felt when we started having trouble finding space for our ornaments!). 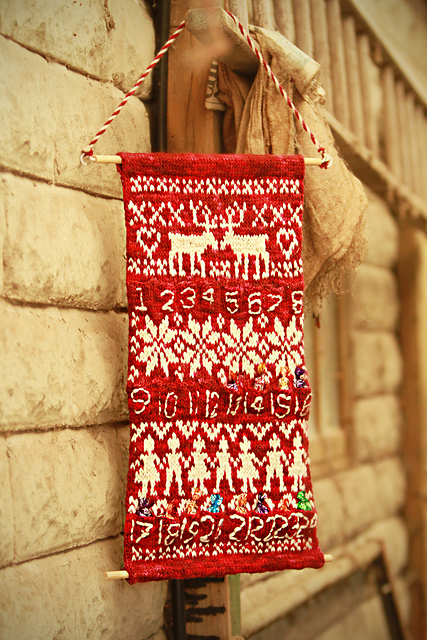 This entry was posted in Inspiration and tagged advent, advent calendar, calendar, christmas, christmas ornaments, christmas tree, garland, knitting, ornaments on December 3, 2014 by onemilljellybeans. I must have mentioned at some point that I’m a huge Harry Potter nerd. It’s true. And I’m not one bit ashamed of it. I’ve probably read through the books at least five or six times. I even dressed up with my friends to go to the midnight release of one of the last book. Then we all sat up until dawn reading. Good times. One of my nerdier purchases (which is saying something), is my well-used copy of Charmed Knits, by Alison Hansel. 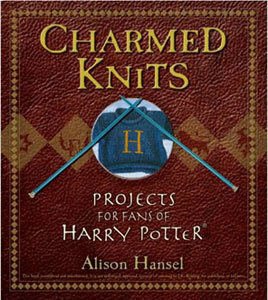 It’s an unofficial Harry Potter knitting book, and it is utterly delightful. If you’ve read the books, you know that Mrs. Weasley knits sweaters for each of her seven children every Christmas. And, if you’re a knitter, you know what an undertaking that must be (even with the help of magic!). It’s one of the ways she demonstrates how much she loves her family and how much pride she takes in protecting them. In Charmed Knits, Alison Hansel has two patterns. 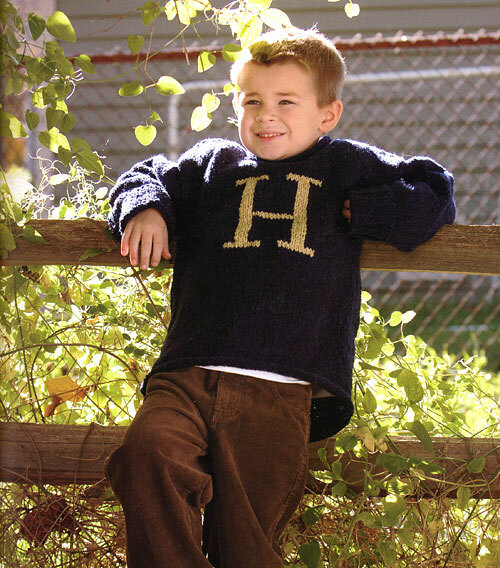 One pattern is for a full-sized Weasley sweater (with sizes running from toddler all the way up to adult XXL). The other is for a miniature, Barbie-doll sized sweater. 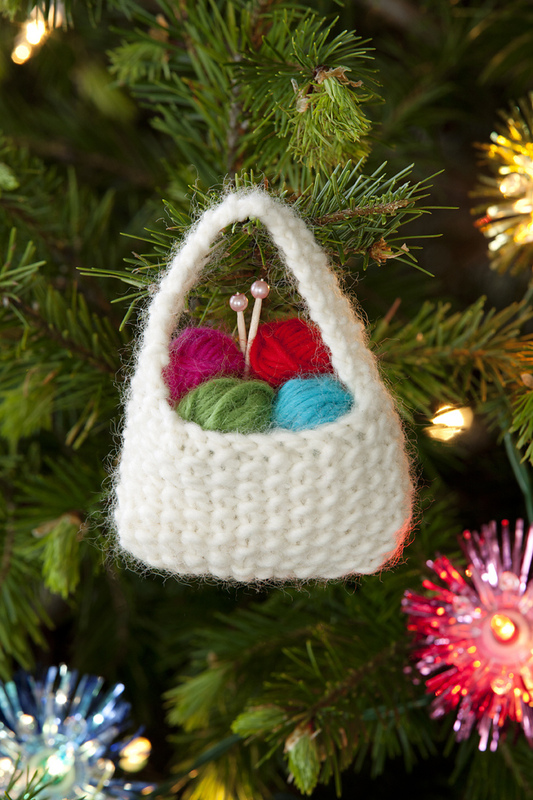 She suggests bending a bit of wire into a teensy coat hanger to turn your tiny sweater into a Christmas ornament. (It’s pretty much the most adorable thing ever.) I’ve made both the full sized sweater (minus the big double-stitched letter on the front; I’m a nerd, but not that much of a nerd) and at least a half dozen mini sweaters. The coolest thing about these two patterns? They are constructed in exactly the same way. So, if you’re worried about making your first sweater, why not try knitting up a mini Weasley sweater first, to see how everything fits together before you go? The two patterns are great beginning sweater patterns; simple, and knit at a largish gauge to make the projects go quickly. So go find a copy of Charmed Knits, and make your family some sweaters for Christmas. 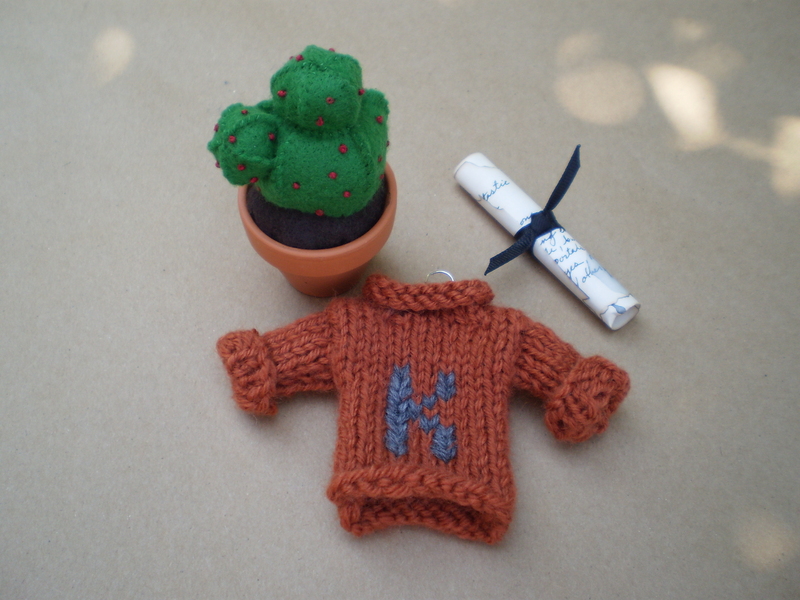 This entry was posted in Pattern Spotlight and tagged christmas, christmas ornaments, gifts, Harry Potter, sweater, Weasley Sweater on September 18, 2013 by onemilljellybeans. 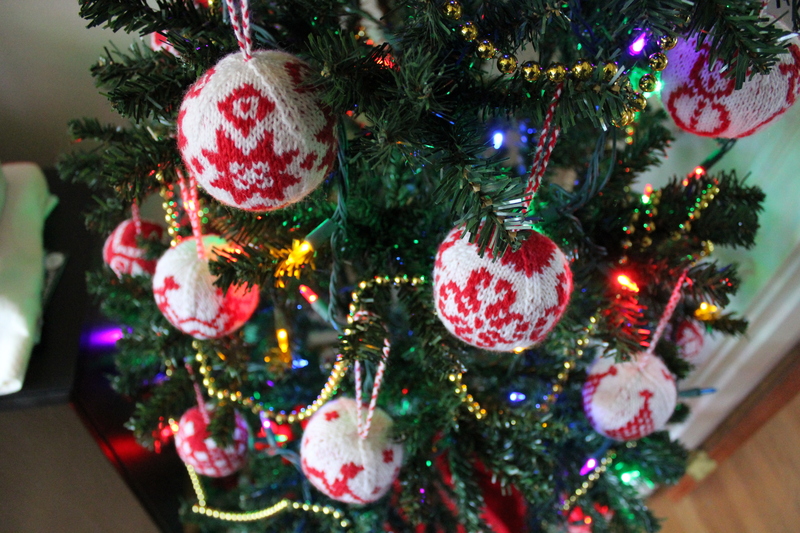 Christmas Knitting: Deck the Halls! But what do you make for someone who is super picky about clothes, or someone whose size you don’t know? Try making decorations. These ornaments are fun and quick to make, and will be appreciated by everyone (or, if the recipient doesn’t like them, they only have to put them out once a year). 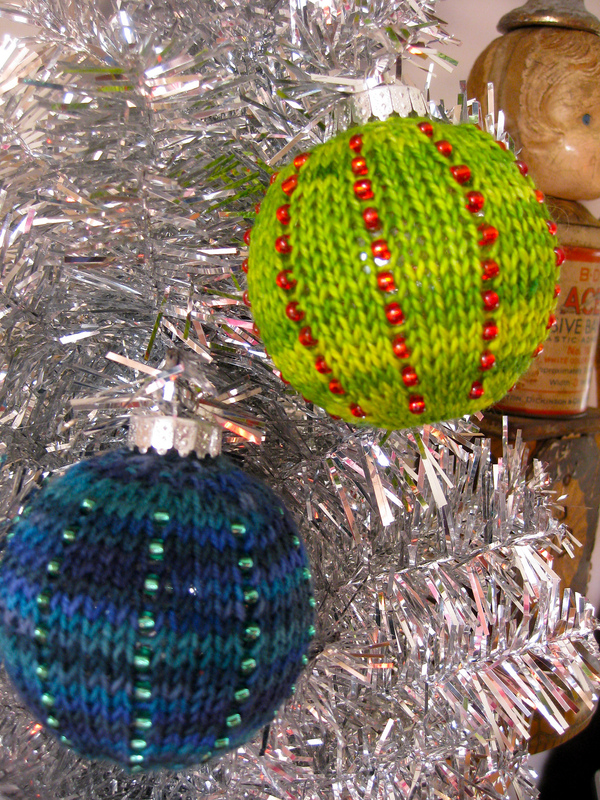 Start knitting away, and before you know it, you’ll have enough to cover a tree! 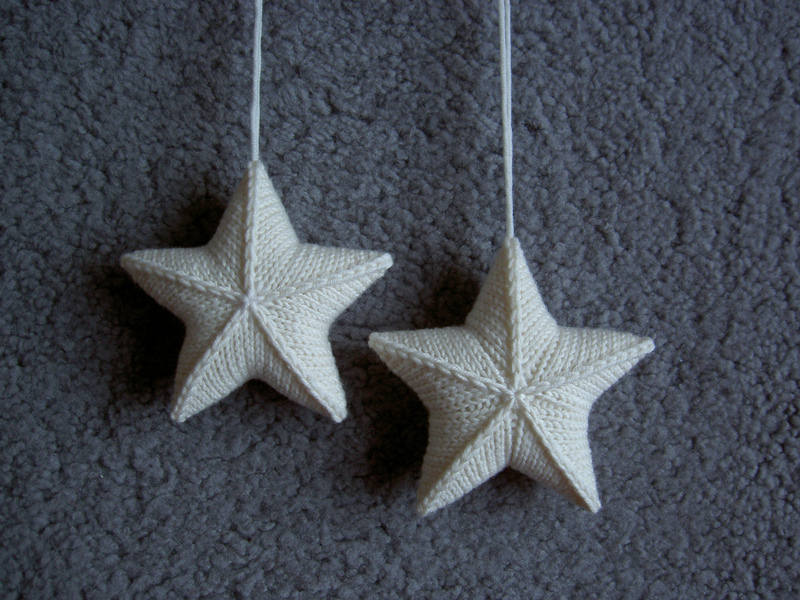 This entry was posted in Inspiration and tagged christmas, christmas ornaments, decorations, gift knitting, gifts on August 5, 2013 by onemilljellybeans.